Often overshadowed by its more famous neighbour Fountains Abbey, the dramatic Studley Royal water garden is a masterpiece in its own right and the reason this National Trust property near Ripon is a World Heritage Site. The eye-catching follies of the water garden will be re-imagined this year for the very first time and brought to life through the vision and creativity of three inventive artists and designers. The original designers of the Studley Royal Water Garden, the Aislabie family, created many follies on this vast and beautiful estate to surprise and delight their eighteenth-century guests. The landscape they created was the height of fashion in its day. A place for escapism and pleasure, here esteemed guests would have been invited to while away the hours by mirror-like ponds, gentle cascades and classical statues. Key to this picture are the follies, the whimsical buildings designed to catch the eye and draw attention to a carefully created view or vista. The sense of theatre in their original design is echoed in these innovative and astonishing artworks. 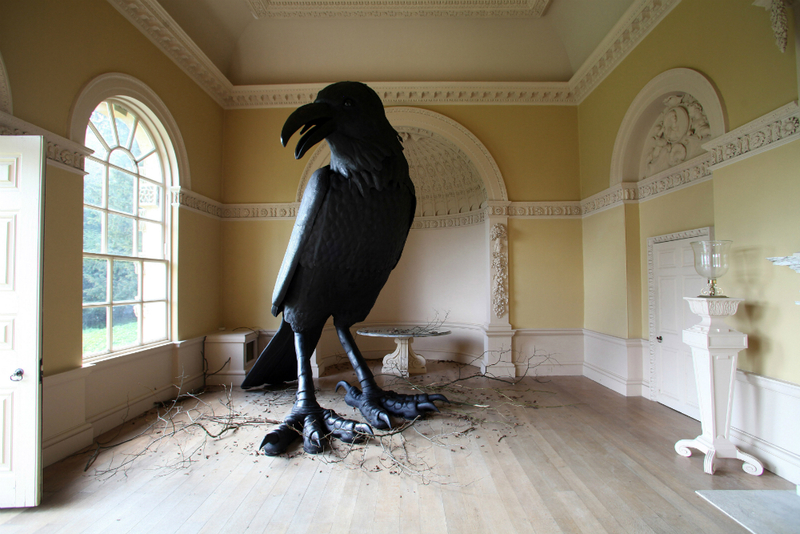 Gary McCann explores the relationship between man and nature with his piece ‘Scavenger’ in the Banqueting House, a fantastical creature on a grand scale, while within the smooth classical pillars of the Temple of Fame the invasion of the landscape continues with his installation ‘Lost Property’. Gary McCann is internationally renowned for his inventive and theatrical approach to set and costume design. His audacious style has led him to producing work for many of the world’s leading theatre and opera companies including the National Theatre in the West End, on Broadway and the Vienna State Opera. Irene Brown’s work ‘Hall of Mirrors’ will transform the inside of the Octagon Tower into a world of shifting perspectives and infinite views. Turning the idea of follies to provide viewing points to distant prospects or along carefully-constructed avenues on its head, the artist turns the viewer into the subject with mirrors evocative of the opulence of the period, epitomised by the great hall of mirrors at the Palace of Versailles in France. Irene Brown is an artist and academic whose research and practice is engaged with wonder, focusing on the history and philosophy of science. Simon Costin delves into the history, folklore and ancient mythology of the Water Garden in the Temple of Piety where bizarre secrets are revealed and a strange series of events unfold. The estate papers of the late Professor Dennistoun will take you on a journey of discovery in this ‘ancient place of worship now in ruin’. Simon Costin studied Theatre Design and history of Art and has grown to become an internationally respected art director, curator and set designer. He is renowned for the conceptually ambitious nature of his designs for some of the country’s biggest fashion names including Alexander McQueen. Folly! launches on Saturday 25 April and runs until Sunday 29 November 2015. You can pick up a mini guide to lead you or use a ‘marvellously magical family map’ to create your own journey of exploration. This This weekend Fountains Abbey & Studley Royal, a National Trust site near Ripon, will be celebrating their World Heritage Site status with a real life medieval encampment. Experience life in a medieval village at the time of the abbey’s heyday as re-enactors Rosa Mundi return to set up camp by the abbey. 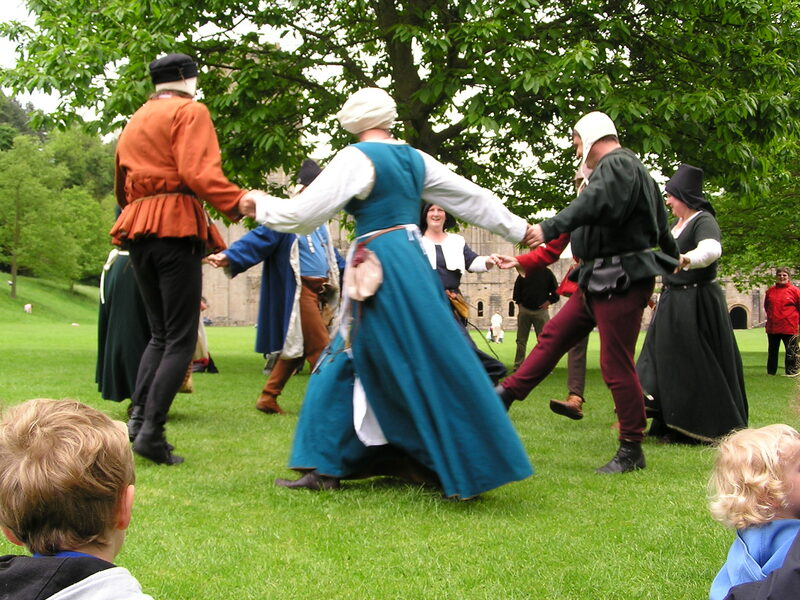 See and smell the fifteenth century brought to life with a programme of traditional crafts, cookery and archery. You can join in with activities and games at Swanley Grange and follow a Lost Places trail to discover the buildings you never knew had existed, including Studley Royal House in the deer park, once home to the Aislabie family who created the Studley Royal water garden. You’ll also find out more about what makes Fountains Abbey & Studley Royal a World Heritage Site and how the National Trust care for this special place. You might be surprised know the eighteenth century water garden and the way the abbey ruins were incorporated into this forward-thinking garden design is the main reason the estate is a World Heritage Site. There will be tours of the abbey (daily 11.30am & 2.30pm) and of the abbey and water garden (daily 1.30pm), as well as a special tour to explore the hidden messages of this unique water garden (Sat 18 April, 2pm). World Heritage Day is celebrated around the globe, raising awareness of the diversity of cultural and natural heritage and the 1007 places listed by UNESCO as World Heritage Sites. At Hadrian’s Wall and Housesteads Roman Fort, another National Trust property in the North East of England, they’ll also be hosting talks and tours on Saturday 18 April. Visit www.nationaltrust.org.uk/fountains-abbey to find out more about this weekend’s event at Fountains Abbey & Studley Royal. 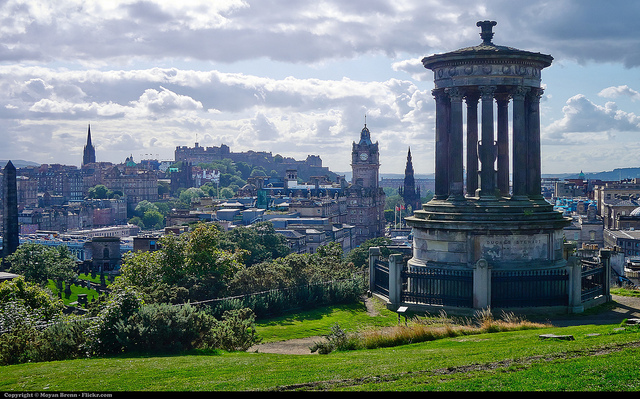 The second World Heritage UK Network meeting will take place in Edinburgh from lunchtime on Jan 25th to 4pm on the 26th, and will have an extended focus on Management Planning. More details will follow as the event is put together, but it is likely to involve the guest speaker and learning session on the afternoon on the 25th (as per the morning of the Liverpool meeting), with the rest of that day and the next day being dedicated to preparation for and detailed work on good practice and latest reconsiderations on Management Planning. World Heritage Day is celebrated around the globe, raising awareness of the diversity of cultural heritage and the 1007 places listed by UNESCO as World Heritage Sites. The City of Edinburgh has these three events to celebrate in 2015. Celebrate World Heritage Day with a family afternoon out at the Scottish Storytelling Centre. Find out about Scotland’s World Heritage Sites with activities for children, presentations, and storytelling. Find out more. To celebrate World Heritage Day, Mercat Tours are offering an exclusive chance to discover Edinburgh’s great moments and minds. Hear about the lives of Adam Smith, David Hume and many more. Find out more. The Cornish Mining WHS are delighted to announce the forthcoming release of their latest cultural programme production, the film version of the highly acclaimed musical drama “Tin”. Based on real life events surrounding a banking scandal in the mining community of St Just in the 1890’s, the stage production of “Tin” was originally toured around Cornwall and west Devon as the Cornish Mining WHS contribution to the Cultural Olympiad in March 2012, to popular and critical acclaim. Based on this success, they have worked with the production company, Miracle Theatre, to create a feature film version for wider circulation. Following premieres in Cornwall and London’s Leicester Square, the film goes on general release on 17th April at cinema’s in London and the south. Details of venues and how to book available here.